The Volcani Institute is a world leader in agricultural innovation, founded in Israel in 1921. The internationally-acclaimed organisation engages in cutting-edge research and successfully develops world changing agricultural solutions. 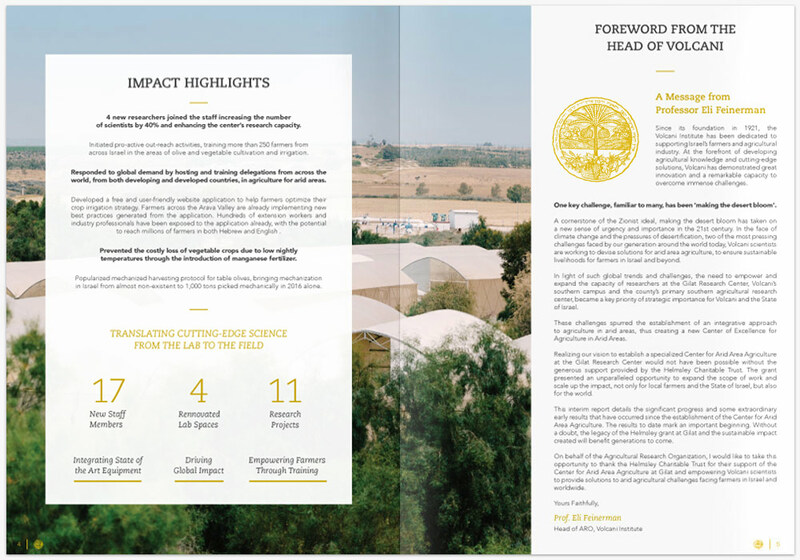 After producing Volcani's 2015 - 2017 impact report, we worked on a series of brochures focusing on individual research projects. The design material was used as part of a proposal for a multi-million dollar funding contract. We are proud to have played our role in communicating how Volcani continue to change the world of agriculture.